Drawing Around the World: USA outlines a simple, fast, and easy program to teach students to memorize the United States of America. With Drawing Around the World: USA, students, in only minutes per day, engage in fun geography lessons that teach them to draw the 50 states plus Washington D. C. Additionally, students learn the state capitals and interesting facts about each state as they complete the state fact table. 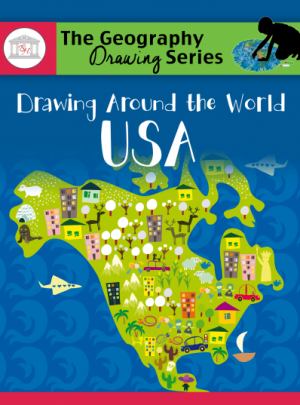 Add Drawing Around the World: USA to your school day and teach your student to memorize and draw the United States, the state capitals, and the state abbreviations–while you save time and money! 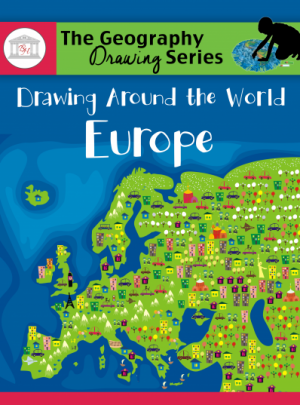 Drawing Around the World: Europe, the first book in The Geography Drawing Series, outlines a simple, fast, and easy approach to teach students to memorize the countries of Europe. With Drawing Around the World: Europe, students, in only minutes per day, engage in fun geography lessons that teach them to draw the countries of Europe and learn interesting facts about each country as they complete the country fact table. Add Drawing Around the World: Europe to your school day and teach your student to draw the independent countries of Europe–while you save both time and money!